Since Stryker and Depuy hip-replacement devices have been recalled and cited in injuries to some 90,000 people, the companies have hired a third-party claims administrator to help mitigate the damage. Our Boston Stryker hip attorneys recognize that the role of this firm, Broadspire, is similar to what we might expect from an insurance claims adjuster. Representatives from Broadspire work to contact individuals who may have implants that have been recalled or are defective. They then seek to glean information regarding whether that individual has suffered any damages as a result, determine what out-of-pocket expenses for any treatments or surgeries and may even offer a compensation package. It’s critical that anyone contacted by Broadspire recognize two things: One, there is a good chance you may have a legitimate claim for a lawsuit. Secondly, Broadspire is not interested in obtaining fair compensation for you. Rather, this company works for the manufacturer. The goal is to rope you into a settlement agreement so that you will sign away your right to sue, potentially putting you in a position where you are forfeiting tens of thousands if not hundreds of thousands of dollars in compensation. Typically what Broadspire representatives offer is coverage for out-of-pocket expenses. This might sound good, particularly if you’d rather avoid litigation. But it’s important to consider a few points. The only out-of-pocket expenses the firm will likely cover will be medical bills. This includes costs incurred for MRIs, surgeries, doctor visits, various testing, surgeries and rehabilitation therapy related to the defective product. You will have to provide proof of all of this in order to be compensated. What these offers will not compensate for is pain of suffering, lost wages, loss of consortium and future losses you are likely to incur as a result of damage caused by the defective product. People tend to underestimate the substantial pain and suffering they and their spouse may experience as a result of this ordeal. There is also the tendency to underestimate how this may negatively impact one’s ability to work in the future. It’s also worth noting that language contained in the agreement with Broadspire may limit the amount to which you are entitled. For example, some of the agreements note that revision surgeries or therapies relating to the defective hip product will be covered “if necessary.” But who determines if the procedure is necessary? There have reportedly been some instances in which the patient’s physician has recommended replacement, but the manufacturer’s physician say it isn’t necessary. Therefore, coverage is denied. 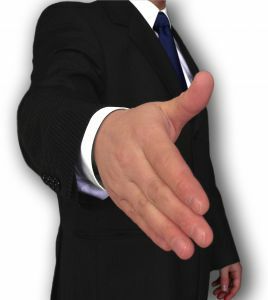 All this is not to say an agreement with Broadspire won’t be fortuitous in your situation. The problem is that far too many patients are signing away their rights without truly understanding what they are gaining and what they are losing, and much of that will depend on the individual facts of the case. Recognize that any information you provide these representatives absent legal counsel might be used against you if you later decide to pursue litigation. If you are contacted by representatives from this firm or the manufacturer, it’s imperative that you decline to answer questions and refer all inquiries to an experienced product liability attorney. We can help you determine if a pre-trial settlement truly is the best course of action for your case.